Aerial view looking downslope on Cotopaxi Volcano Ecuador. During the 1877 eruption, glacial meltwater rushed down this eroded landscape towards the populated Los Chillos Valley near Quito. 4k00:15Aerial view looking downslope on Cotopaxi Volcano Ecuador. 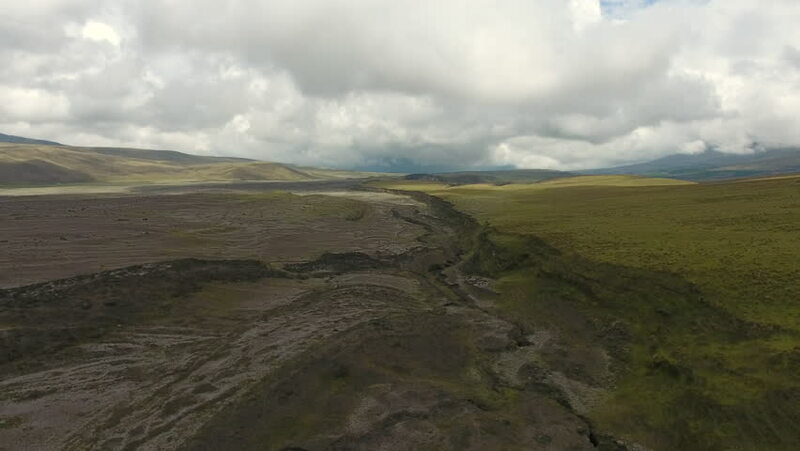 During the 1877 eruption, glacial meltwater rushed down this eroded landscape towards the populated Los Chillos Valley near Quito. hd00:23Aerial footage across the UK countryside towards a fort. 4k00:16Twilight in the mountains. Aerial footage.